February 11, 2019 by Price Erecting, Co.
Come help the community celebrate the varied ways veterans cultivate joy and talent! Price Erecting is proud to employ veterans, including members of the Wisconsin Veterans Chamber of Commerce. 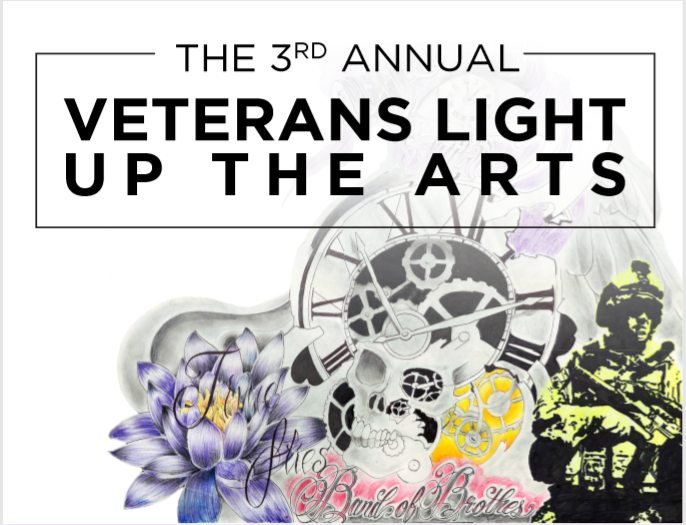 To support our staff and other veterans around the state, we’d like to invite you to attend the 3rd Annual Veterans Light Up the Arts event at the Milwaukee Art Museum, March 8th. Since art is not a prescribed method, the many paths it’s able to take root has a refreshing effect on those who pursue it. From leather-makers to comedians, this showcase commemorates the motley of avenues art inspires veterans. Support us in allowing those who have fought hard for us to discover hidden gifts and muse in art. This event empowers veterans and military families, builds community and creativity, and enriches Milwaukee’s thriving arts community. From 5:30 PM to 8:00 PM, amateur and professional veteran artists will be performing or displaying their works of technique for the community in appreciation of what art has done for them in their lives. This year includes a meet and greet for donors around 8:00 PM that will meet at the war memorial next door. Those who wish to support this purpose can do so by attending or sponsoring this anticipated event. Every contribution supports the creation of veteran artists in our Milwaukee.